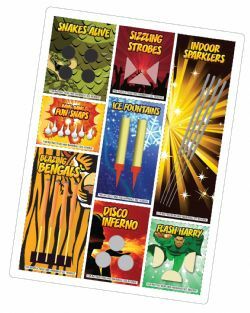 NEW IMPROVED INDOOR FIREWORK SELECTION PACK – We have doubled the length of our sparklers and increased the quantity to 6 pieces, we have also replaced the 2 x Puff the magic dragon smoke sticks with 25 fun snaps. 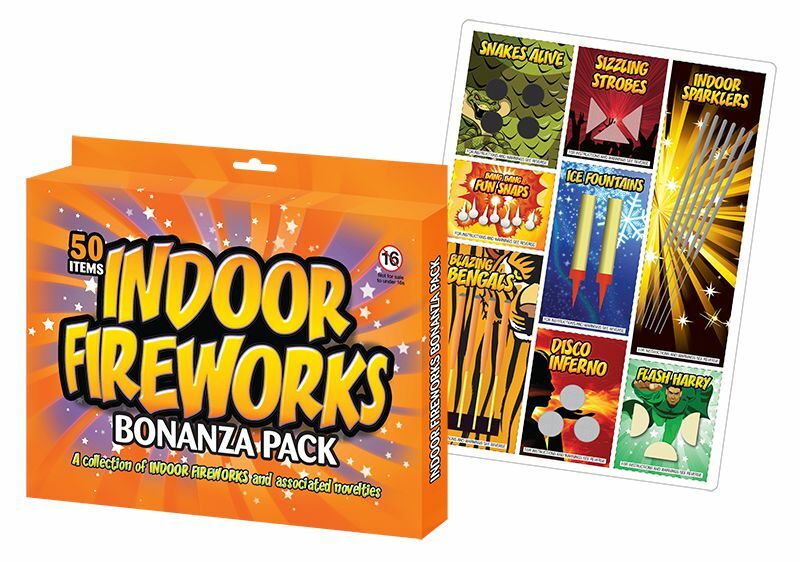 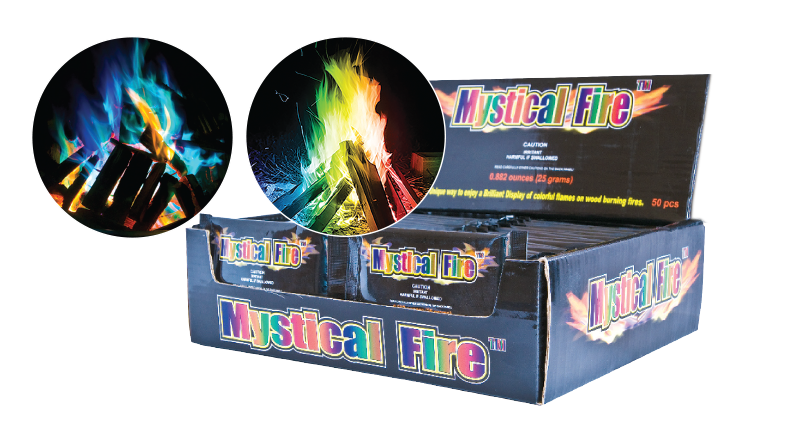 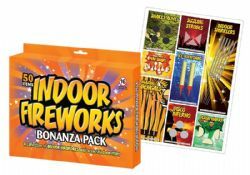 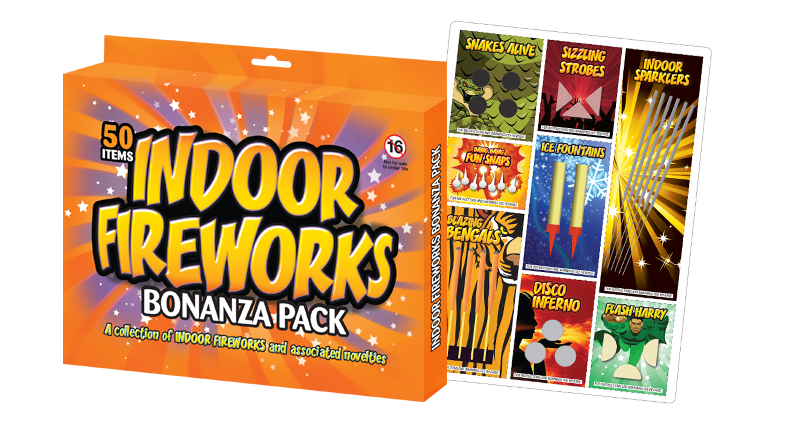 Our traditional retro packs of Indoor Fireworks are a real winner, this pack is our biggest selling item by a country mile. 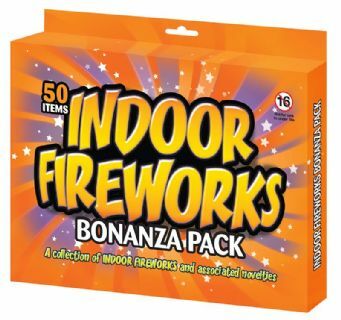 This fantastic selection are a throwback to yesteryear. 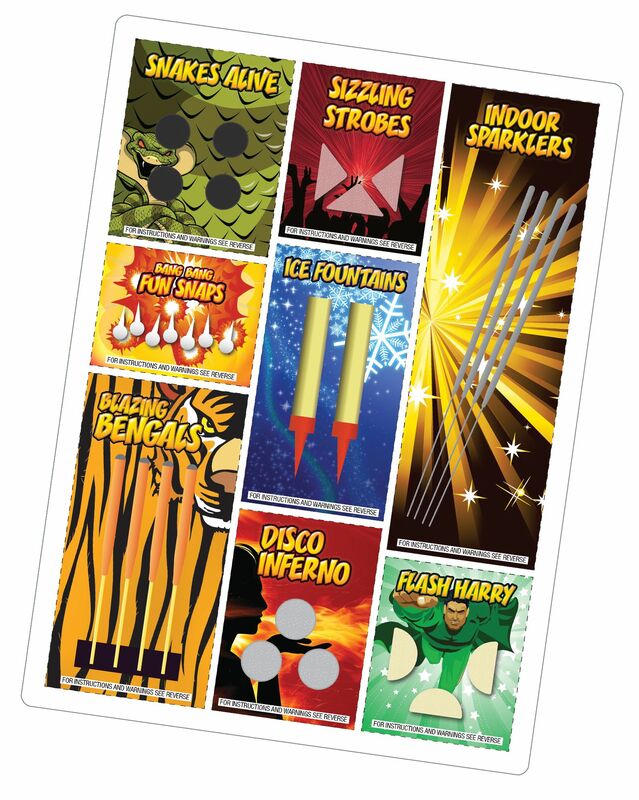 Each card has 50 items spread over 8 varieties, watch out for the ever popular slithering serpents. 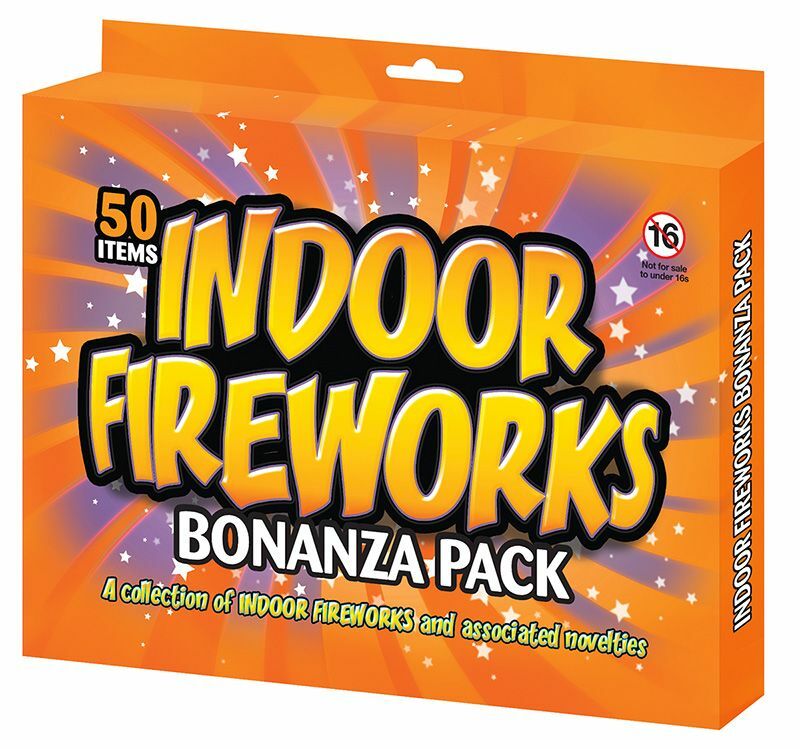 Complete instructions on how to light each of the Indoor Fireworks are also included.